Make the choice to maintain a healthy digestive system. Give SpectraZyme Metagest Digestive Support Formula from Metagenics a try today and see the difference it can make in your digestive health! Because there are a number of factors than can have negative effects on your overall digestive health and processes, it's important to keep your digestive system as healthy as possible. 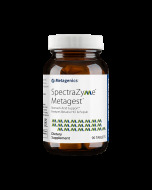 SpectraZyme Metagest Digestive Support Formula from Metagenics is a reliable all-natural option. 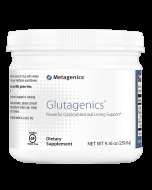 Adults: Two tablets with each meal or as directed by your healthcare practitioner. If pregnant or nursing, or taking medication, consult your healthcare practitioner before use. Do not use if there is a prior history of or a current peptic or duodenal ulcer. Discontinue use if stomach discomfort occurs. Keep out of the reach of children. 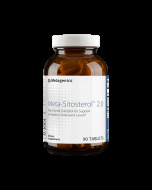 Other Ingredients: stearic acid (vegetable), microcrystalline cellulose, cellulose, silica, magnesium stearate (vegetable), and coating (hypromellose, medium chain triglycerides and hydroxypropylcellulose).